For those of you who are looking for non-restrictive underwear that you can wear all day in perfect comfort, this BareForm Bikini may just be the one. Apart from pure and soft organic cotton that are free of known skin irritants, there is no annoying elastic bands except for a soft stretch inserted inside the waistline. Please scroll down for more product information. You will find BareForm a bit tight the first 15 to 30 minutes you put it on. If it is the right size, the tension will go away quickly as the cotton knit loosens. If you continue to experience tightness and discomfort through out the day, there is a size mismatch. Please note that BareForm is meant to be non-restricting, it may not be the best choice for vigorous exercises or movements. 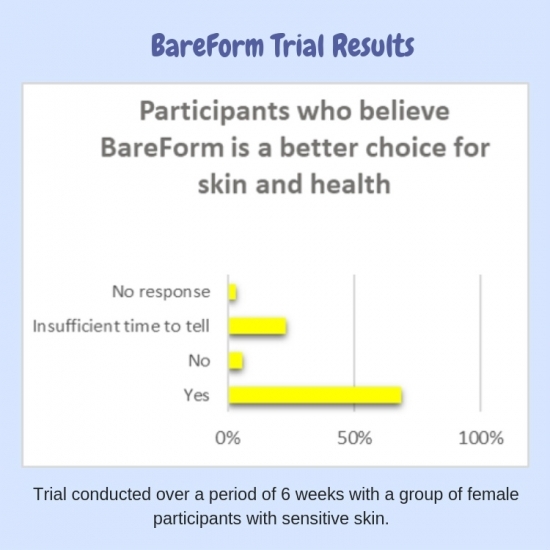 Based on our trial, a vast majority of the participants found themselves either very satisfied or moderately satisfied with their experience with BareForm. However, a small percentage reported fitting issues, simply did not like the design or would prefer spandex to be added back for a tighter feel. If you like to learn more about our trial, you may download the BareForm Trial Report here. 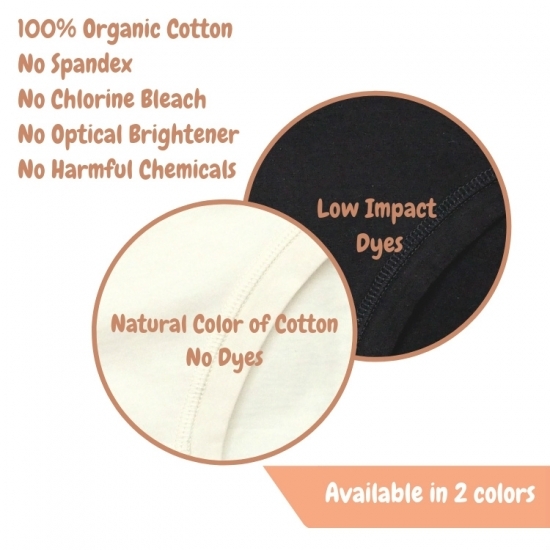 Materials 100% GOTS Certified Organic Cotton. Contains no elastics except for a gentle elastic band inserted inside the waist line.